Online courses to study software engineering – does it make sense? During recent decade, we witnessed a serious technological leap. Nobody can imagine his life without computers, tablets and smartphones. Those are our assistants in solving everyday problems online, like searching on the web, applying elsewhere, buying things, processing documents – all of that may be done online. It seems that very soon, skills in software engineering are going to be a must, it is fluency in English today. Software engineers are already one of the most prestigious and highly paid professions on the planet. A college or university degree. One may argue it is not the best option to choose for a future software engineer. You should review the course syllabus first to find out if the course is up-to-date in terms of the coding languages, methods of coding. It happens that university programs are too conservative and lack certain degree of flexibility. 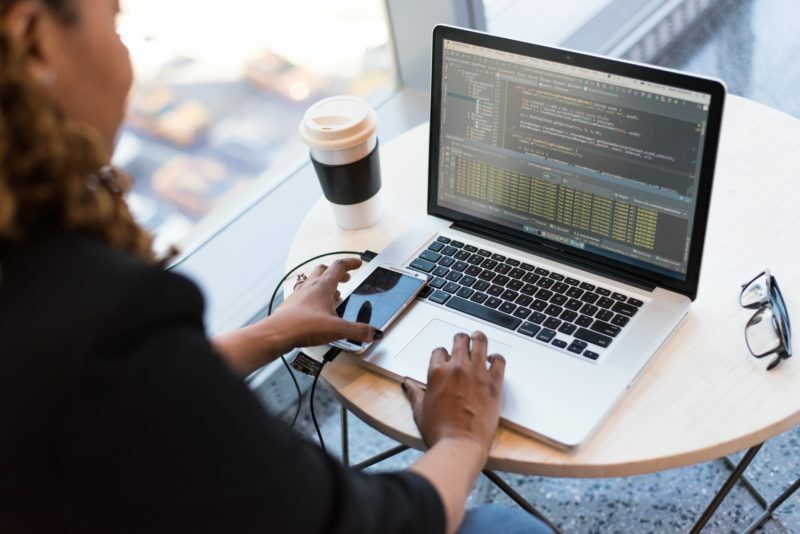 Graduates often need postgraduate courses and studies to stay competitive on the market and be able to code for modern devices and consumer needs. However, a university course is a good choice for those who wish to assess programming basics and key principles of coding. Just remember, that along with the specialized disciplines a student has to study a bunch of general subjects provided for by the syllabus. That adds length to a course. Another issue to consider is that most usually your tutors are going to be theorists that lack practical background and approach, while nowadays a practice-aimed and fast study is in demand. Generally, a degree from a college or a university means you would get basic theoretic knowledge. Still, you would need a postgraduate course to gain many of practical aspects of the profession. Another option is online courses on software engineering. The core advantage thereof is that most usually relevant and demanded coding languages are studied. The courses are normally flexible in terms if length and comprehension level. There are modules for beginners and those who wish to improve their knowledge in a particular field, level up their competence in IT. There is a variety of choices to make: web-developer or designer, SEO-specialist, system administration, Java coding, Ruby, PHP, Python, creating code and code optimization for Android and iOS applications. It is advisable to choose courses that offer a feedback option when you can have your current questions promptly answered. Another argument to consider is timing. You most always have ability to manage your schedule without a need to travel to an educational institution. A tutorial may be watched anywhere. However, one may argue online course is not a perfect way to master something because it is just not enough to. That statement is only correct to the extent that a software engineer needs to stay up-to-date all the time reading new books, keep himself on top of the latest developments in the field. The negative side may be described as follows. Due to tight timeline the courses are overfilled with the information. That makes consumption thereof more complicated. Meanwhile, not everyone is able to stay self-motivated and study on his or her own. Statistics say that out of 40 students around 20% do not do homework; other 50% will drop the course during the studies. Only few will make it to the end of the course. Another technical issue to consider is that this type of studies require a stable internet connection not to interrupt lessons. Another option to master a profession of software engineer is to gather knowledge by yourself – from books and generally accessible information. We may assume that this option is hardest one to achieve a result. It is not that easy to define particular books to study and nearly impossible to get practical hints and professional secrets on the free websites. Lack of such information may lengthen the study for an indefinite time. 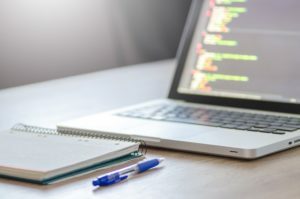 Studying coding languages is a labour consuming process that requires a specific sequence of skills to be assessed and the way it has to be implemented. We were taught at school that prior to learn how to read one would need to learn the alphabet. It is the same about programming. First you need to learn the basics like variable, algorithm, rail, etc., than going to more complicated things. These are things to be kept in mind while self-studying. A good option to pursue is to find an expert ready to become your mentor. We may argue this is the best way to get the best output out of studies. A mentor would assist in searching needed information (useful books and resources), check your code, and provide practical advice on specific issues. Mentors are usually experienced software engineers that are able to share practical experience along with the theoretic background. Studying from a mentor most always mean you will learn things while working on a particular project and having live feedback on many things in question. The question is where to find a mentor? You may search among your friends, family or even at conferences, on the web, etc. It is not the issue of what option would you choose, yet it is important to move from simple to complex. Online studies will help to get knowledge at every stage of your course. You will learn how to define useful information out of the massive, the one you need to be efficient in your work. Web coding would fit for beginners. What you need is a computer and a browser. Upon development in this field, one may proceed to upscale the qualification. A specialist that is always in step with progress is always well paid. Those who already possess the basics of coding may start leveling up to coding applications and programs. This advanced task may be very interesting. Coding is alike to art; it is only limited by the breadth of your mind. Software engineering is a skill that provide you with an ability to create a great and highly demanded product from a scratch with no need to invest millions in infrastructure, construction and that kind of things; only your idea and skills. Once you decide to work as a part of a software team, you should know that a skilled software engineer is in demand worldwide. The market lacks qualified engineers now and the trend is that understaffing in this field will increase soon due to high market demand on various types of software products in many spheres of life. The hint is that to be a success you should also pay attention to English proficiency: both written and spoken. Especially you should consider technical literature and audio/video tutorials. You already work in IT and need the course to level up your skills; this profession requires people to study all the time and that is where online courses are helpful.